The attorneys at Kirsch-Goodwin & Kirsch are committed to providing professional legal service of uncompromising quality to every client. We strive to provide our clients with professional, responsive, courteous and ethical treatment from all attorneys and staff. Having worked with dozens of insurance carriers and TPAs in New York, New Jersey and Arizona, we know how to work with each carrier/TPA and insured to plan for the most successful and cost-effective conclusion. Early case evaluation allows us to achieve these results. Our attorneys are from large firms. We have over 40 years of combined legal experience with cases in arbitration, mediation, trial and appeal. Our small firm allows us to bring our expertise to our clients while providing individualized service without the overhead of larger firms. Our practice is dedicated to those areas in which we have the greatest experience. We believe in quality over quantity, and will limit the number of cases we accept so that we can provide all our clients with the service they deserve. The firm routinely handles matters throughout Arizona for individuals, businesses and insurers. 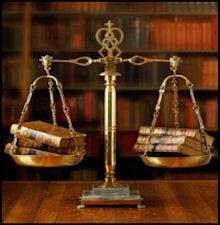 We represent clients before federal and state courts, both at the trial and appellate levels. We also represent clients before administrative agencies and in alternative dispute resolution forums. Our lawyers have substantial experience in a wide range of matters and have successfully tried a wide variety of cases in bench trials, jury trials, arbitration and the Office of Adminstrative Proceedings. As litigators, we prepare your case and work to resolve your case in an expeditious, effective and cost-efficient manner.